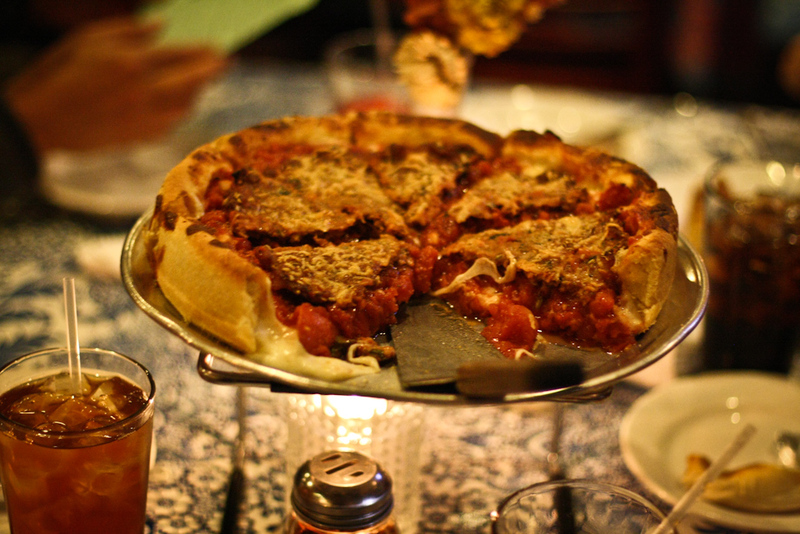 Masa has been serving Chicago Deep Dish pizzas in Echo Park since before I was born. Ok, I just looked it up. Since 2004. Whatever. I’m not that old. And from what the over 1000 reviews on Yelp can tell me, it’s the real deal. 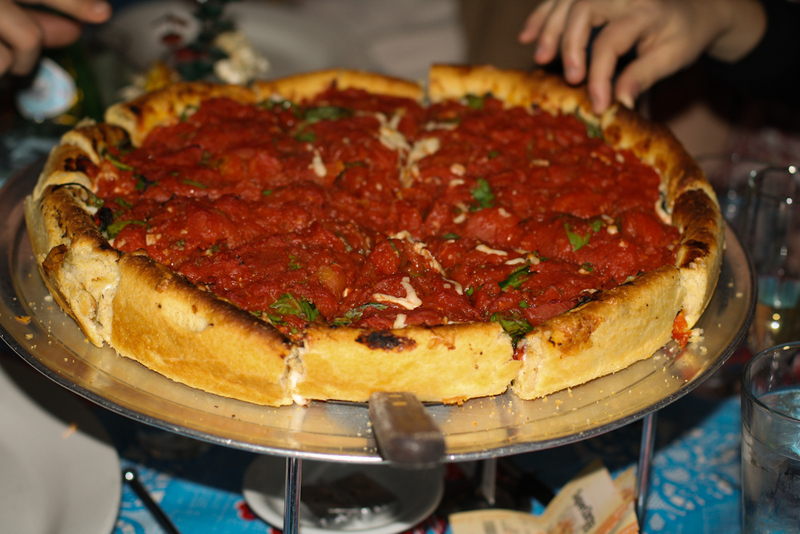 Chicago Deep Dish is it’s own animal. Barely even in the pizza family. Eat it when you want to feel a really delicious anvil sitting in your stomach. Pizza Belly is something I often dread. You eat a crap load of ‘Za, wash it down with your favorite Bev’ and suddenly the expanding starts. All that dough begins to double in size, like some fiendish Alien ready to burst out at the end of the evening. 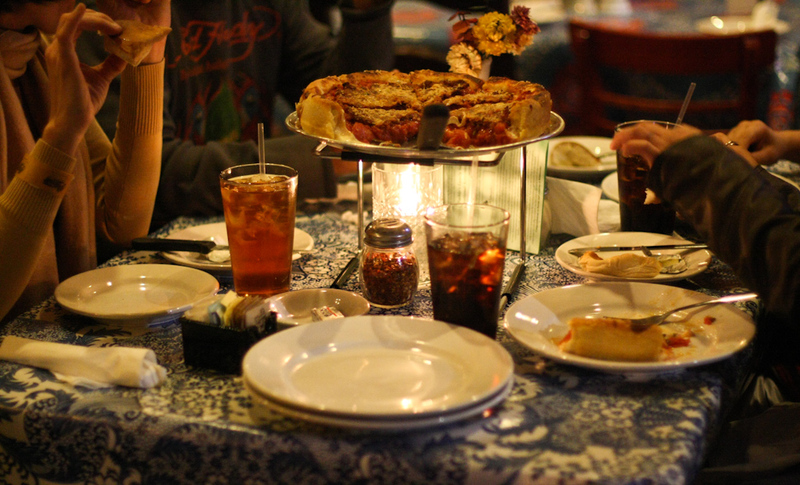 Pizza is a night ender. 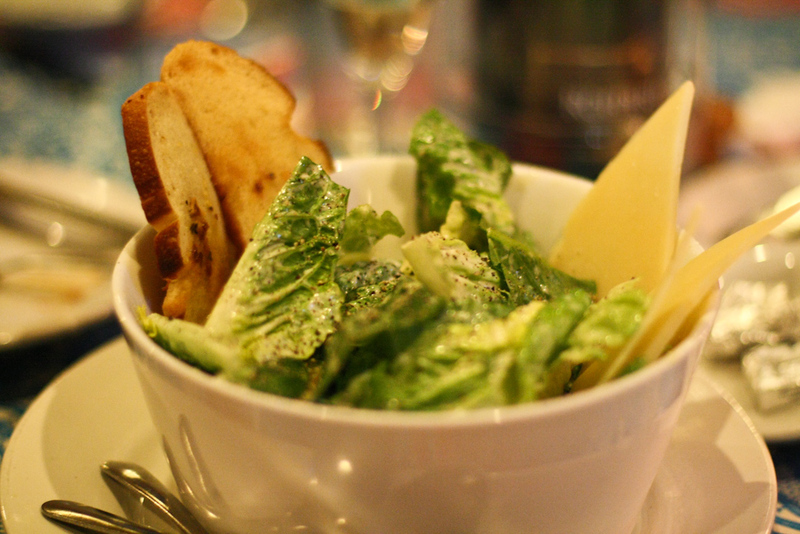 Once you eat it, all hunger is satisfied. Yet, all energy is zapped. You’re done. Time to go home. Any alcohol buzz has been successfully soaked up. 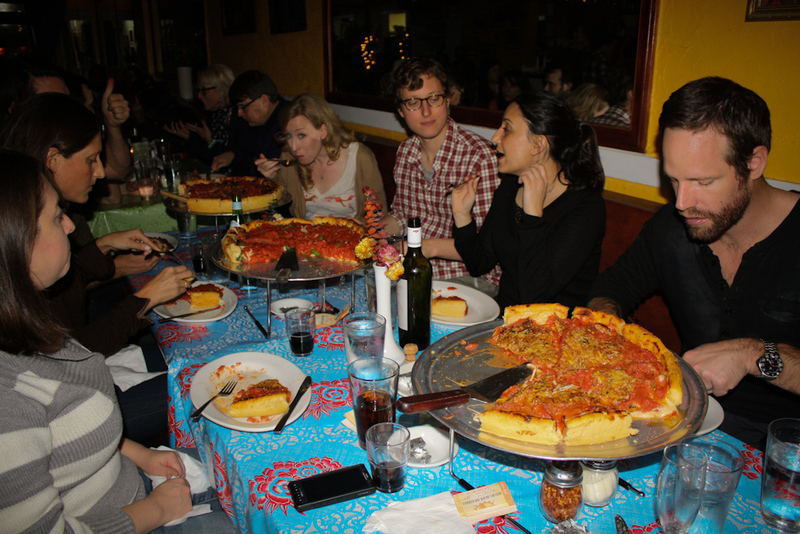 This is no different with Deep Dish except you have crazy leftovers with which to repeat the process the following day (or later that night). 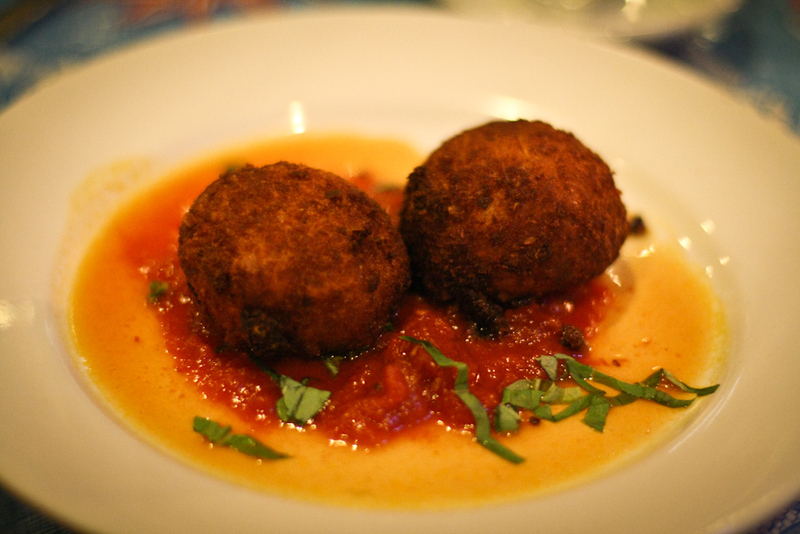 For 8 of us, we ordered 3 Large Deep Dishes (about $20 each), a few salads and two orders of the incredible Suppli Risotto balls. 2 pizzas would have been plenty and we still would have had leftovers. 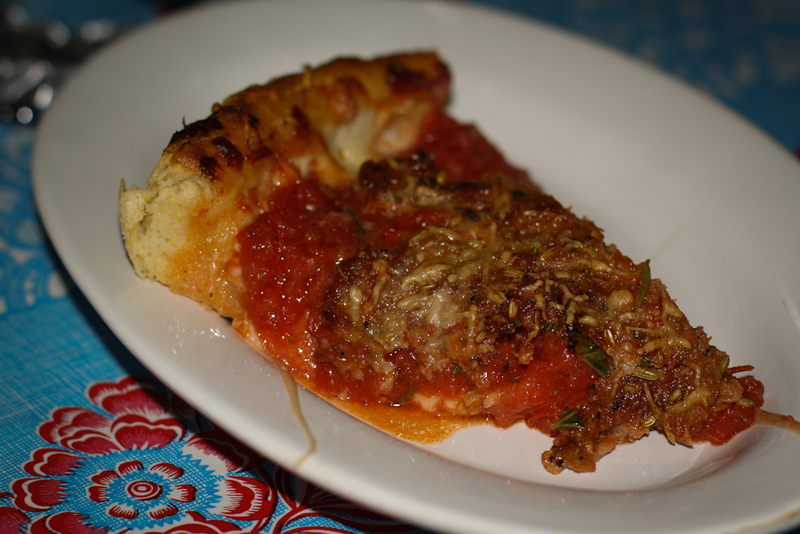 The pizza was really good, all the deep dish basics were there: Cornmeal crust, pear tomatoes, cheese under the sauce. The Vegan one was slightly lacking, I don’t think soy cheese has a lot of flavor, although it melts better than other non-dairy cheeses. 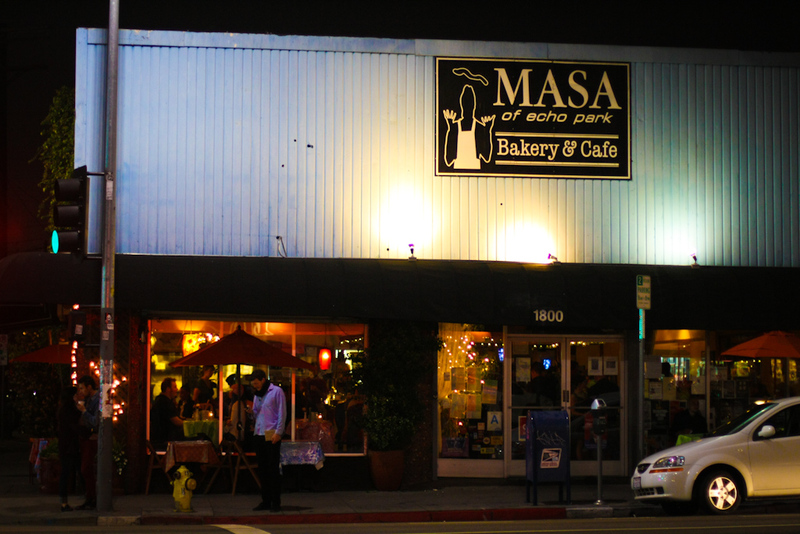 Masa (Spanish for “dough”) is a really fun, bustling spot where one can gorge for cheap. For a first date or the first stop on a pub crawl, maybe not so much. 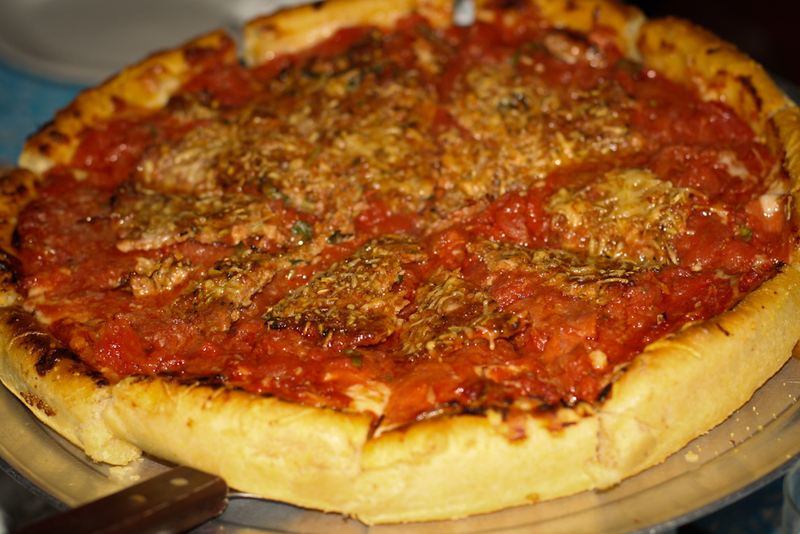 With over 1400 reviews of Masa on Yelp, people have strong opinions about Deep Dish Pizza! Happy Birthday Squid or Whale!